Times have changed and crime is on the rise. With an increase being reported in the number of thefts, burglaries and break-ins, adding a surveillance system to monitor things while you are away is a possible solution. 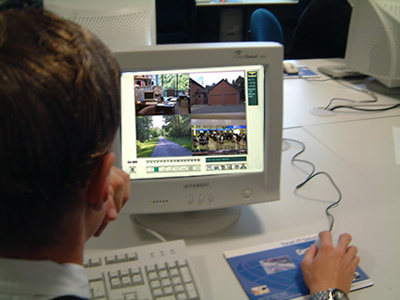 PC based video surveillance systems are an effective tool and an economical choice, which anyone with a computer and web camera can install. PC based video surveillance systems are also ideal for monitoring your little ones, your pets at home, front door, garage and your room, while you are away at work or on a vacation. Also, you can use a PC based video surveillance system to monitor your business environment. All you need is your PC, a standard webcam and advanced surveillance software. Using this combination, you can manage to keep an eye on things, all the time and effortlessly. Call or Email us for more information regarding Video Surveillance Systems.